Rule of thumb: if a scorpion has fat pincers and a small tail, its venom is fairly weak. If it has a fat tail and small pincers, watch out! 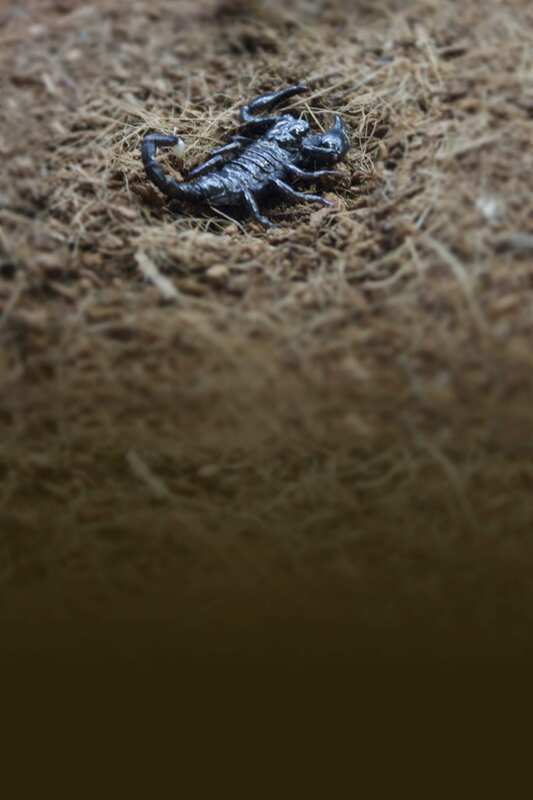 Fortunately for our keepers, emperor scorpions are in the former category. Like crabs, tarantulas and many other invertebrates, the emperor scorpion sheds its shell and grows a new one several times in its life.